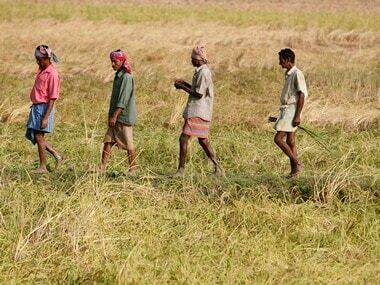 In an effort to place their long time demand for complete land reforms in the power corridors of India, at least 50,000 landless farmers are marching on a Jan Satyagraha Yatra from Gwalior to Delhi in a protest organised by Ekta Parishad, an organisation working with marginalised farmers since 1991. 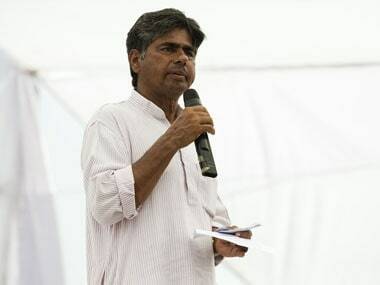 The decision to hit the road to fight for their land rights came in the wake of the unsuccessful negotiation between the government and Ekta Parishad chairman PV Rajagopal and other members, largely comprising of tribal communities, who do not have ownership of their land. Rajagopal is also a member of the National Land Reforms Council. 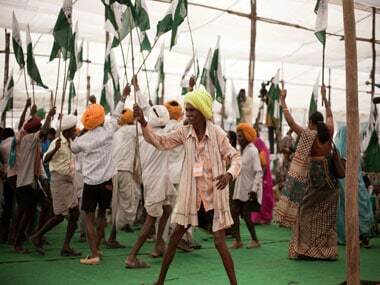 Peasants with Ekta Parishad flags on the opening day of Jan Satyagraha Yatra. Image courtesy: EktaParishad website. The Centre had appointed the Union Rural Development Minister Jairam Ramesh and Minister of State for Industry and Commerce Jyotiraditya Scindia to hold talks with the activists and to dissuade them from continuing their protest. But the last-ditch effort fell through when Jairam Ramesh backtracked on a promise he had made earlier. According to a report in The Hindu, the Rural Development Minister had promised to finalise an agreement which would also contain time frames for initiatives such as a clear-cut policy and a land bank for the poor. The Minister has also invited the agitators to meet him on 11 October in New Delhi, to discuss the issue from all possible quarters and find a solution. He has also promised that there will be a solution that will appeal to all parties within the next six months. According to a report in The Economic Times, Ramesh has also gave the protestors a written response mentioning the initiatives that government is taking on this front. However, the report quoted PV Rajagopal as saying that he was disappointed with the Minister's assurances. "This list has all the things that government is already doing, that is not enough. We are asking that land that has been taken away by the powerful be restored to the landless and homeless. 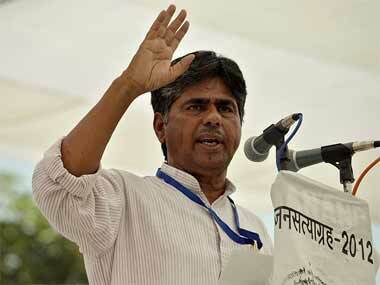 It is the government's duty to protect the poor people," he was quoted as saying. The Jan Satyagraha is the handiwork of PV Rajagopal and his team, who have held similar protests in the past. In October 2011, a protest rally began in Kanyakumari and covered 80,000 km, to spark local awareness and mobilise protesters, culminating in this 350-km padayatra to the capital. The year 2007 saw a similar march of 25,000 people to the Capital that led to the formation of the National Land Reforms Council, chaired by the Prime Minister.